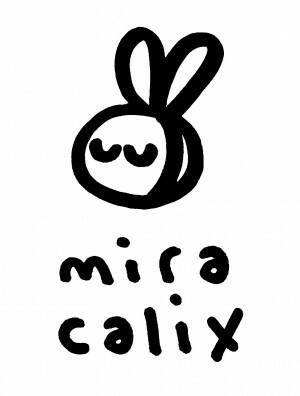 Calix has been commissioned by and exhibited and performed works in many leading cultural institutions, festivals and ensembles internationally, most recently the Hayward Gallery, Serpentine Galleries, the 1stCoventry Biennial, The Royal Shakespeare Company, UK in China 2015 cultural exchange program, Carriageworks, MONA, Performa, the Barbican, Art Basel, Lincoln Center, Manchester International festival and the London Olympics among others. In 2016 Calix opened the Moving Museum 35, a temporary soundart mixed-media installation situated on a public bus in China. Her project was created in collaboration with students based at Nanjing University Of the Arts, and was supported by the British Council, PRS Foundation and JCDecaux, part of the UK in China 2015 cultural exchange program. The temporary museum is open to the public daily, in the city of Nanjing, until April 2016. Inside There Falls, a mixed media installation at Carriageworks in Australia, premiered in 2015 as part of the Sydney Festival. The artwork was a multi-sensory large-scale installation of paper, sound and movement. A blanched new landscape that seamlessly blended technological innovation and organic materials, by exploring the nature of storytelling. Calix invited acclaimed choreographer Raphael Bonachela to participate in the work which incorporated durational performances by members of the Sydney Dance Company. In 2018 Calix joined the London Sinfonietta, at the Hayward Gallery’s major Andreas Gursky retrospective, for the second in a series of four world premiere commissions that marked the Sinfionetta’s 50th anniversary season. Her work was a live musical response to Gursky’s iconic 2015 photograph Rückblick, which depicts Germany’s most recent chancellors. The title, they talk about art, we talk about money refers to a quote by Oscar Wilde: “When bankers get together for dinner, they discuss Art. When artists get together for dinner, they discuss Money”, the composition aptly captured the rhythm, colour and complexity of Gursky’s work. Further commissions in 2018 included a new processed-based performance piece titled if or unless? for Good Grief, Charlie Brown! a group exhibition currently on display at Somerset House, and a new sound installation at The Tower of London on display from the 4th to 11th November, an ambitious choral work for Beyond The Deepening Shadow – part of the art installation conceived for their armistice celebrations that gained international acclaim. Calix also received a Gold and The People’s Lovie Award in the Music & Entertainment category for Ode to the future, a sculptural and musical work that involved working with 6 foetuses in utero. 2019 will see Calix exhibit new work at Bozar Brussels, The Lower Green Gallery and release the self produced Utopia EP on Warp Records at the end of January. The 4 track ep will be released as a limited edition 10” vinyl. The first track; rightclick was originally written for Adam Thirlwell’s short film of the same name. The film produced for Random Acts stars Lily Cole and Lily McMenamy.